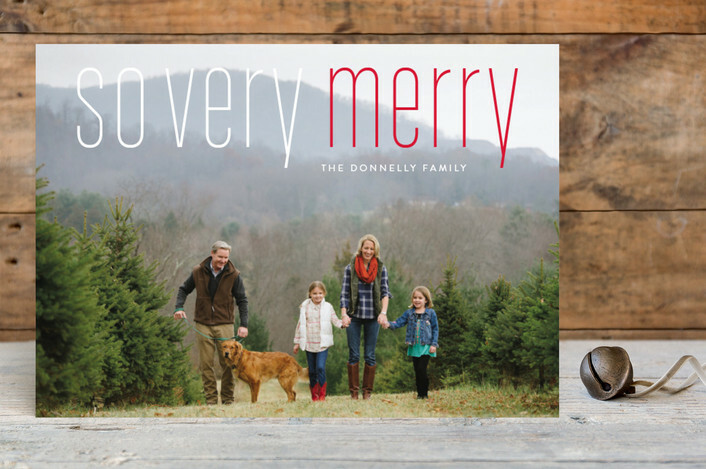 One of my favorite parts of the holidays is sending and receiving holiday cards. Whether it is a photo card or a handwritten note, they are all my favorite. 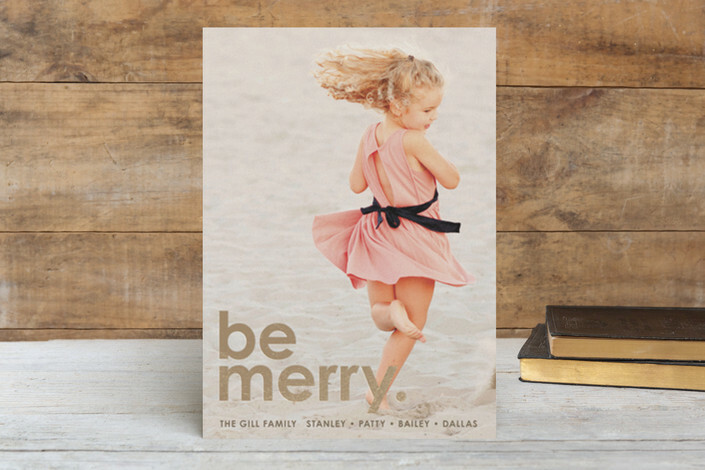 While there are many options to choose from for each special occasion I continually depend on Minted to help me spread the cheer. This year we stuck with our photo shoot theme and went pretty traditional with red & green. As someone who tends to stick to neutrals it was a nice change for this year and I adore how it turned out. Easily my favorite card yet! We have received so many gorgeous foil cards this year that I have been swayed to the other side...next year that is! This years card is the simply happy holidays card - quite fitting with that big old grin! 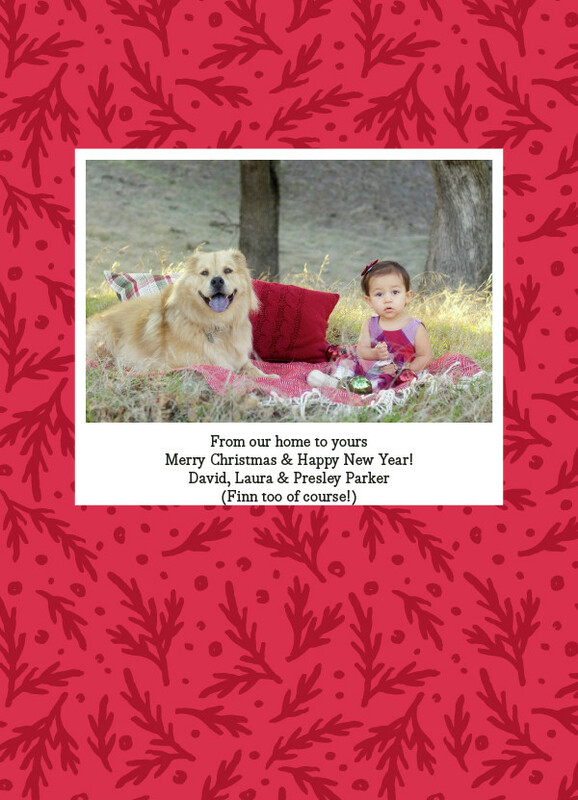 As you can see only P made the holiday card this year. That's because David is vey anti photos - boo him. So every other year he gets out of the card. Next year won't be so easy buddy! 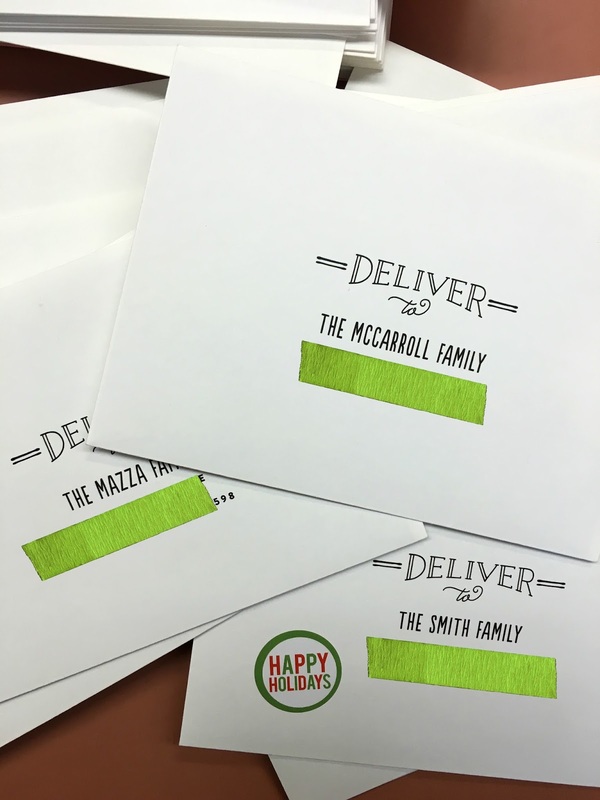 *I received a credit towards my holiday cards as being a part of the Savvy Sassy Moms Products Scouts. Always and forever the opinions expressed here are 100% my own. I loved your card! It was beautiful and I thought how they were addressed is cute and genius! yours was one of the first cards i received! and its one of my very favorites!!! Love your card and that photo of P!! I wish I got mine out as quick as you did!! What a perfect picture! 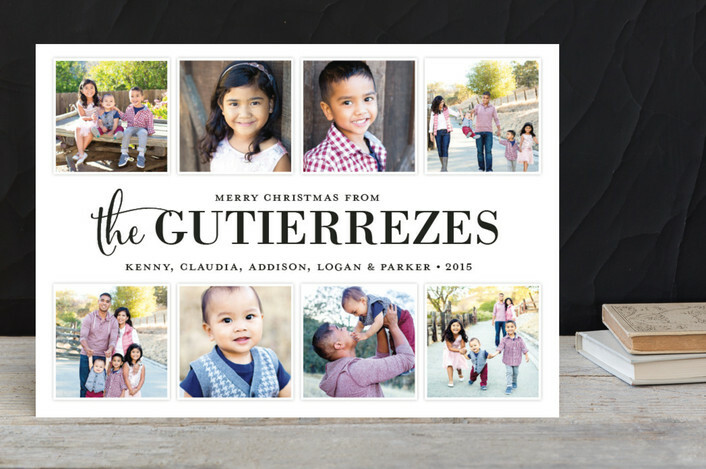 Love the cards and yes, Minted makes it super easy! Super random but my maiden name (Mazza) and married name (Smith) are both pictured above haha. What a coincidence. I loved the addressing on your card! What a fabulous tool! 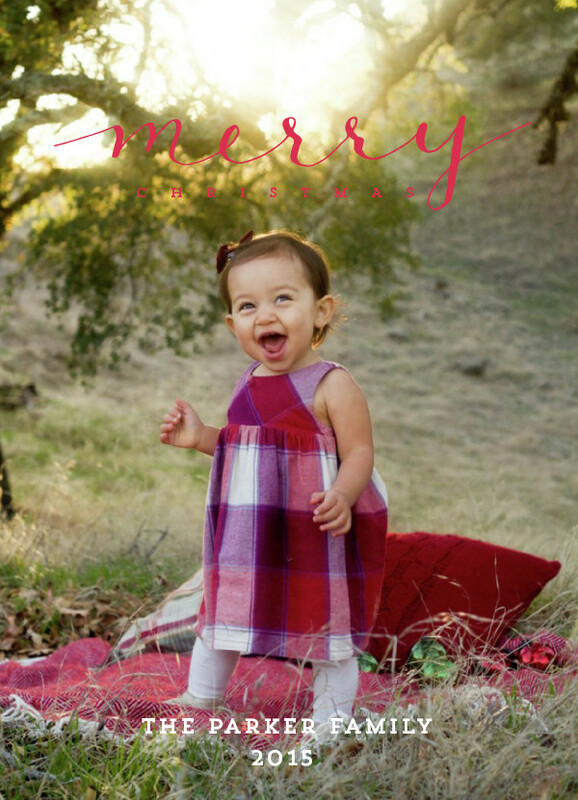 Adorable card, a very 'merry' smile for sure!! I loved the pre-printed envelopes.